Córdoba is a city located near the geographical center of Argentina, in the foothills of the Sierras Chicas mountains on the Suquía River, about 700 km west-northwest from Buenos Aires. It is the capital of Córdoba Province. It is the second industrial center of Argentina, but retains many of its historical buildings dating from the colonial era. El Centro (Spanish for "downtown") is the most important commercial area, with clothes, food, hardware, fishing equipment, shoes, computer shops, etc., as well as the most important banks like Bank of Córdoba and other private banking institutions. There's also a variety of restaurants with varying food and prices, from McDonalds to Italian pasta or asado barbecue. Sightseeing places include San Martín square, Jesuit Block (declared UNESCO World Heritage Site) and Genaro Perez Museum. Main avenues and streets are Vélez Sarsfield, Colón Avenue, General Paz, Dean Funes and 27 de Abril where most buses have a bus-stop. Nueva Córdoba is the largest district in the area. It is home to shopping malls like Patio Olmos, big buildings, pubs, disco clubs, squares, restaurants, supermarkets and other entertainment and commercial centres. This district includes a very important buildings from large companies like Motorola and Intel. An important cultural place is Palacio Ferreyra, located at the corner of Hipólito Yrigoyen and Chacabuco. Nueva Cordoba has a number of important avenues like Yrigoyen and Velez Sarsfield. On this neighborhood live most of the university students of this growing city, several buildings are being built transforming this area and a top-level-hood like General Paz neighborhood in the fastest-growing areas of the city. Ciudad Universitaria (Spanish for "University Campus") district is located in the south area of the city, next to the Parque Sarmiento park. The Universidad Nacional de Córdoba has most of its faculties in this area. Another important university, the UTN, dedicated to the teaching of engineering sciences, is located in this part of the city. There are also a gym and football stadium and tennis courts for the students. The Córdoba Zoo is located in the district. Córdoba was founded on July the 6th, 1573 by Jerónimo Luis de Cabrera, who named it after Córdoba, Spain. 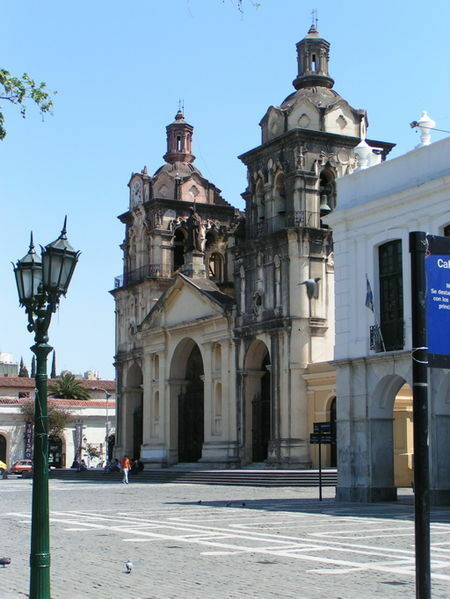 It was one of the first Spanish colonial capitals of the region that is now Argentina (older cities were Buenos Aires, founded in 1536; and Santiago del Estero, founded in 1553). The Universidad Nacional de Córdoba is the oldest university in Argentina. It was founded in 1613 by the Jesuit Order. Córdoba has many historical monuments preserved from the times of Spanish colonialism, especially buildings of the Roman Catholic Church. The most recognizable is perhaps the Jesuit Block (Spanish: Manzana Jesuítica), declared in 2000 as a World Heritage Site by UNESCO . It is a block of buildings dating from the 17th century, including the Montserrat School, the University (today the historical museum of the Universidad Nacional de Córdoba) and the church of the Society of Jesus. Córdoba has been considered the technological centre of Argentina. The Argentinian spaceport (Centro Espacial Teófilo Tabanera) in the suburb Falda del Carmen, where satellites are being constructed and operated is located in the area. The software (Motorola, Vates, Intel, Electronic Data Systems, Santex América) and electronic industries are advancing and exporting more and more goods. Córdoba has long been considered one of the most cultural cities of Argentina. Literary activity flourished in the city at the beginning of the last century. Córdoba was the city of Leopoldo Lugones, Arturo Capdevila and Marcos Aginis, among other many prestigious writers. The typical music in Córdoba is the cuarteto. It can be heard in many parties and pubs. The most popular cuarteto singers are: Carlos Mona Jiménez, La Barra and Jean Carlos among others. The places they usually sing are named bailes (dances). One of the first groups was Cuarteto de Oro. Córdoba also enjoys a rich musical culture that includes classical, jazz, rock, pop and electronic in a variety of bars, pubs and dancing clubs. Córdoba is house of the Teatro San Martín, that regularly features classical music, folk music, theater plays, etc. Córdoba has many historical monuments left over from the colonial era. 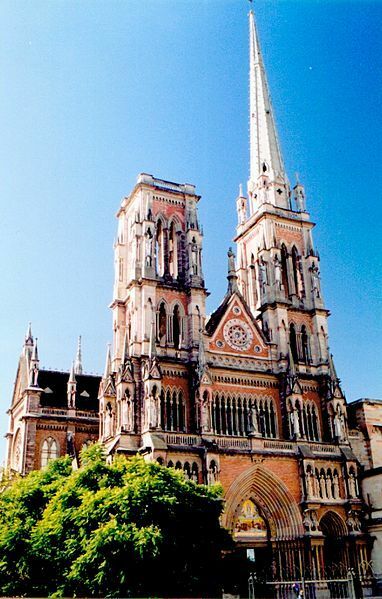 In the centre, at the Plaza San Martín square, is the Jesuit Cathedral, whose altar is made of stone and silver from Potosí. Every ornament inside is made of gold and the roof is all painted with different images from the Bible. Another important building is the Cabildo (colonial government house), located next to the church. The Jesuit Block, the Monserrat School, the University and the church of the Society of Jesus are located in Córdoba. Different festivals occur year-round. The first is in February, the Carnaval, where children enjoy throwing water balloons at people on the street. Then in the middle of the year, on July 20, Friend Day is celebrated. Usually, most of the teenagers meet at Parque de las Naciones or Parque Sarmiento and spend the afternoon there. At night, they go dancing to different places, and enjoy a drink. The last festival is Spring Day, held on September 21. 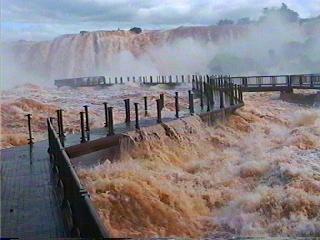 Many go to the park or spend the day in the nearby city of Villa Carlos Paz. There they can enjoy lots of activities like concerts, dancing, going down town or visiting the river bank. Today, there have been 23 visitors (108 hits) on this page!